According to the American Bar Association, personal injury law, also known as tort law, is designed to protect you if you or your property is injured or harmed because of someone else’s act or failure to act. In a successful tort action, the one who caused the injury or harm compensates the one who suffered the losses. In such cases finding a personal injury lawyer may be your best defense. Personal injury lawyers in Philadelphia are abundant. So what makes one stand out from another? How do you choose the perfect lawyer for you? It’s a smart move to hire a personal injury lawyer if you’ve been injured but there’s more work to be done to ensure your case ends up in the right hands. Hiring the right lawyer can be the difference between a great outcome in your case and having it all go south. So choosing the right lawyer is an important decision. Keep the following tips in mind when trying to narrow it down. When you start a search for the right lawyer, you typically search online at first. Look at the biographical information of each lawyer. Make sure they have experience in your kind of personal injury claim. Also check to see their accolades, if they belong to any local, state or national lawyers’ associations. If you have a working relationship with a lawyer who specializes in a different area of practice, like wills and estates, ask he or she if they can recommend a good personal injury lawyer. Also ask friends, family and coworkers if they know of anyone. Sometimes all it takes is word of mouth to find the right personal injury lawyer. 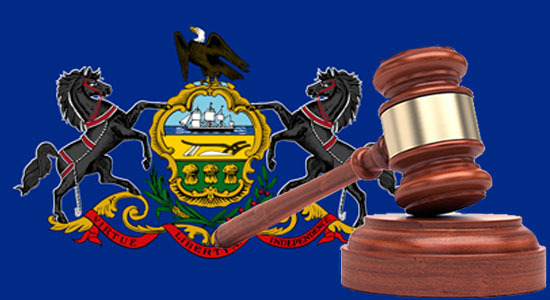 Contact the Pennsylvania bar association and ask about some of your possible choices. Find out if they are in good standing. Coming from a higher place is critically important. You want someone with a good reputation. Check out your local yellow pages and go online to see if your choice or choices advertise. You can tell a lot about someone’s integrity by the way they advertise. Are their ads helpful, in good taste, compelling? It’s important to know if there are any issues associated with your law team. Search online archives to see if there has been any publicity about the lawyer or the cases that he or she has handled. Find out if there were any high-profile cases and what the outcome was. Some of these tips will help you to find the right personal injury lawyer for your case. You also shouldn’t immediately cross a lawyer off your list if they don’t have the time to meet with you right away. A good lawyer is busy and that is a good thing. Martins Mill Legal Center and its highly qualified personal injury team are your right choice when searching for personal injury lawyers in Philadelphia.